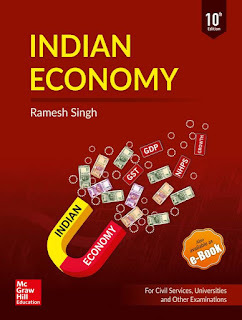 Today we share Indian Economy By Ramesh Singh .This Notes Help For Upcoming govt. exam. 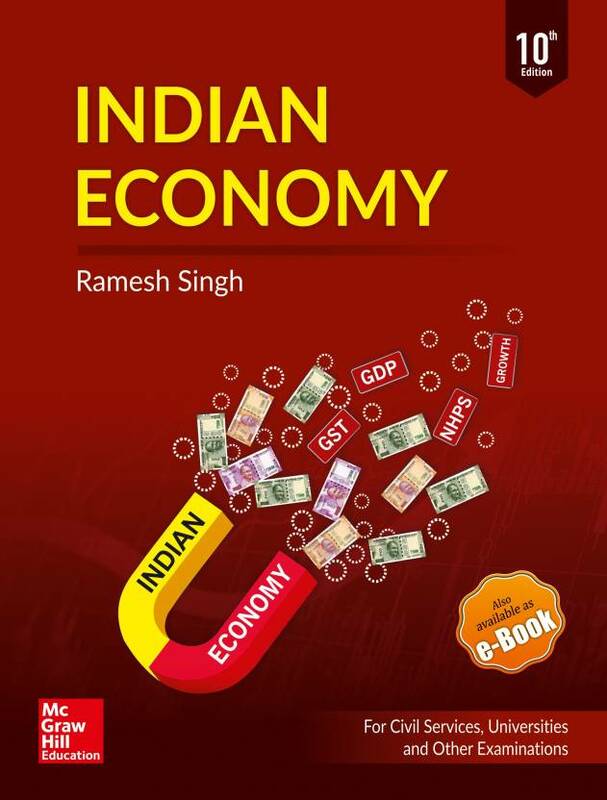 Having sold more than 1 million copies in the last 10 years, Ramesh Singh's Indian Economy is a comprehensive text with detailed coverage of all topics prescribed by the UPSC for Preliminary and Main examinations. Written by a subject expert and renowned teacher on the subject, the book has proved to be of immense importance to the aspirants of the Union and State civil services examinations, academics, researchers and those with an abiding passion for the subject. This book is a stellar product with many years of bestselling performance which is now in its 10th edition. 7. Multiple Choice Questions (Prelim) and Model Answer (Main) sections have been fully revised with new and relevant questions added and outdated ones being weeded out. 8. Economic Survey 2017-18 and Union Budget 2018-19 covered in separate chapters. Dr. Ramesh Singh is an Alumnus of the Delhi School of Economics and an education consultant with over two decades of experience in guiding civil service aspirants. He is the director of a tutorial institute known as Civils India, which aids students in their preparation for a vast array of competitive examinations. He is a prolific writer and has authored books in both Hindi and English for McGraw Hill Education, including bestseller - Indian Economy, Bharitya Arthvyavastha and Contemporary Essays. He is also a popular columnist of the Publication Division journals Yojana and Kurukshetra. Link Broken of this book.